Newly designed for todays micro-fibres. The thin needle with a slim point ensures perfect stitching through finely and tightly woven micro-fibre and useful for silk. 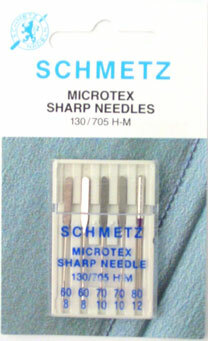 5 Needle Pack.